Waking Dream: Everything Is Dark! My dream teacher Robert Moss has taught us to look for signs and messages in the world around us, to use as daily guidance. This series of events seemed like just that for me. Last week I was adjusting the brightness on my phone, when the screen suddenly went dark. I mean black, no indication of what screen I was on, nothing. After much frustrating experimentation and research, it turns out this is a known problem with a Nexus 4. One person guessed at where the brightness indicator was on the blank screen and was able to adjust it back up, but I couldn’t manage to do that. I wasn’t even sure if the phone was on or off! The only known solution was a factory reset of the phone. I did this, losing a few pictures but not much else, then spent considerable time re-doing my email signatures, screen layouts, available apps, etc. What a pain! Yesterday my partner came home to report there was something wrong with the electrical system in his car. The dashboard light worked, until he turned on the headlights for night driving and the console went dark. Being an electrical engineer, he went on and on about fuses and cold solder joints (huh?) while he researched possibilities. He discovered this morning that the brightness indicator for the dashboard lights, which he swears he never touches, had been turned down to the minimum setting! Maybe he bumped this with his big bulky ski gloves, since it’s been so cold? In any case, he reset it and voila! Problem solved! OK, this is way too much of a coincidence to ignore. I feel like I didn’t fully get the message from my phone situation, so Someone underscored it with my partner’s car lighting. Are You telling me not to despair when everything seems dark, that the Light is still there, just hidden from me momentarily? I’m not missing the vision connection either, as I’ve been aware this season that even though the days are short and the sun very low in the sky, I seem to be seeing the scenery as brighter and clearer than I remember from last year at this time. I’d love to think my eyes are letting in more light. It just occurred to me that in both my own case with the phone and my partner’s case with the car, the loss of light was directly due to something we did ourselves! Yes, we weren’t aware it would have this consequence, but it was not “equipment malfunction”, it was “user error”! So maybe the real message for me here is that if I think I am losing the Light, I need to look to my own actions, not to the surroundings or to the behavior of other people. 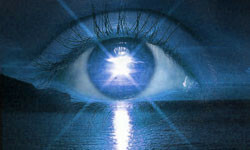 I’m becoming more aware, as I progress on my vision improvement journey, how direct of a connection there is between how I feel and what I do, and how well I see, or not. It is empowering to realize that the clarity of my vision is largely up to me, and if I don’t like it when things are blurry, or yes, too dark, I can do something about that. Let there be Light! Next Next post: I Can See So Much Without My Glasses!